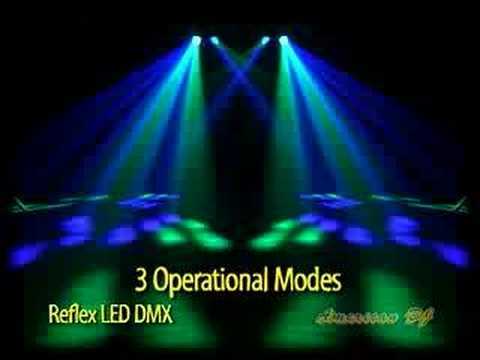 DMX Version of the Popular REFLEX Effect with Color Changing LED Technology!! 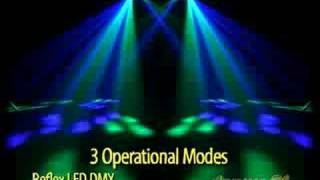 Fantastic Programs of Mirror Movement and LED Color Changing. New Case Design - No Duty Cycle - Extreme Long Life Saturated Rich RGB Colors. Considering purchasing the American DJ Reflex DMX Scanner? Have questions? Ask people who've recently bought one. Do you own the American DJ Reflex DMX Scanner? Why not write a review based on your experience with it. Seen a video for American DJ Reflex DMX Scanner online or have you own video? Check out American DJ Reflex DMX Scanner on DJkit.com!